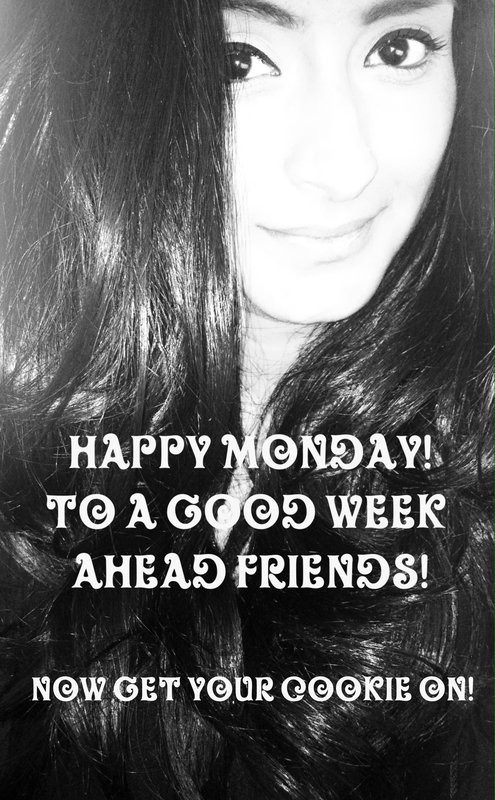 Good ol’ Monday is back again friends. Monday is usually the day where we feel guilty for all the not so good choices we make on the weekends, the day the gym is packed and the day we all decide this is the week of change. Lol, sound familiar? Story of my life all day, every day! So I’m an instragram creeper, I can totally admit it. My fav hashtag seach to do is food, well raw food or vegan recipes. It just amazes me how delicious some foods can be, still be healthy, pretty and colorful! 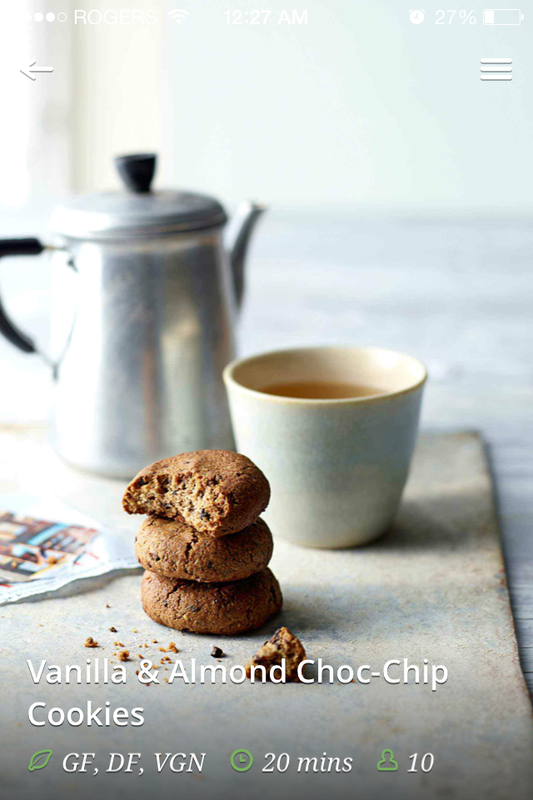 In my search I came across some delicious Vanilla and Almond Choc-Chip Cookies. OH NELLY! I have made at least 6 batches of this recipe since I found it and I usually devour it within 1-2 days. Best part, once you read the ingredients in the recipe you will realize it’s okay to eat that many cookies because THEY ARE GOOD FOR YOU! SAYYYYYYYY WHATTTTTTTT! And I swear I hear time and time again that almonds make you smarter. Soooo basically the more cookies you eat, the smarter you get! Yes yes yes! Can you tell how excited these cookies make me, lol? 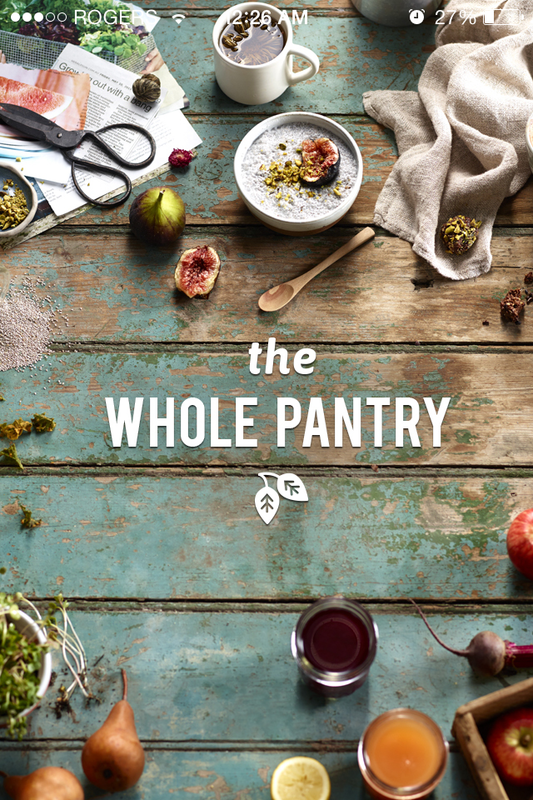 Now the app that has this award winning recipe is called Whole Pantry. The pictures throughout the entire app are beautiful. Each picture makes the recipe look like a piece of art work. I have attached some pictures so you can take a gander. Some are raw recipes, some include very minimal cooking but all are healthy ma-nealthy. Preheat oven to 340 F.
If making your own meal, add 1 heaped cup of almonds to a processor and process on high until crumbly texture. This yields 1 ½ cups. On a lined baking tray, measure and roll 1 tbsp of batter and press lightly in center. Bake for 13-15 minutes until golden. They will be soft when removed from oven but will firm up as they cool. Centers will stay soft and fudgey when cool, if preferred crunchy, place back in oven for an additional 3-5 minutes. Store in sealed container for up to 5 days, but we all know that is NOT HAPPENING. I give it 2 days maximum. Once you’ve tried this recipe, I’m guaranteed you will be sold on this app. Download it! Just saying! I have had three for breakfast today and wish I brought more… so yummy in my tummy. To a good and healthy week. We can do it! I love you all dearly! Previous Post Unconditional and Reading Rainbow! Sayyyy what!!!!!!!!!! 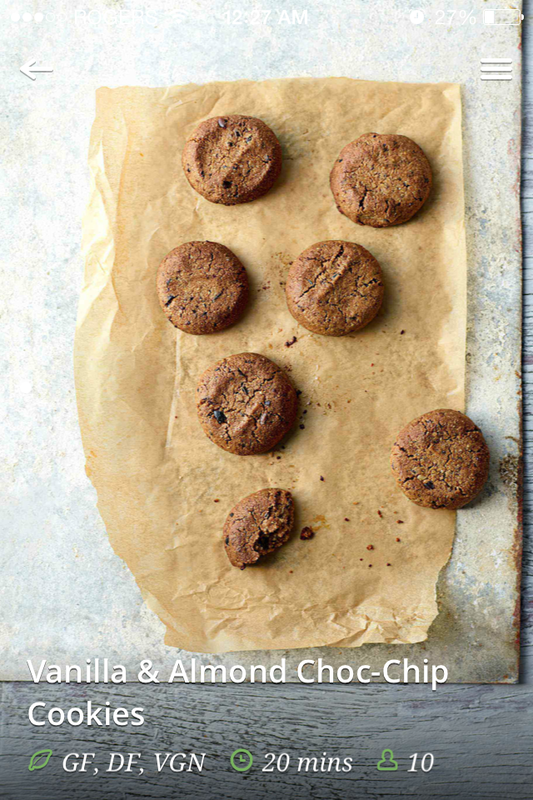 These look delicious, I look forward to making them for my gluten allergic niece and nephew!